“Colourful, bright and welcoming!” That’s the verdict from the headmaster, at All Saints C of E Primary School in Chatham, on the completion of a brightly coloured timber fence that has been erected. The timber has been decorated using a translucent woodstain Sadolin Classic that enhances the natural beauty of the underlying timber. The perimeter fence that runs 500m around the school is part of a larger scheme to ensure the safety of the pupils and to enclose certain key areas, with more fencing around the playground and a large metal fence enclosing the exterior of the grounds. 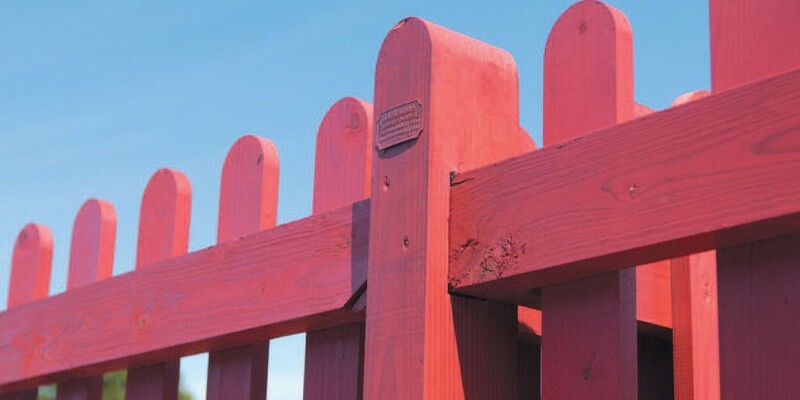 The colour scheme of the fence, comprising 8 x 4 ft panels, is a mixture of bright, cheerful colours, complementing a new playground which has recently been built at the school and a garden for the children to enjoy. The importance of the environment in which the children learn is increasing and in recognition of this the decision to enhance an ordinary timber fence with colours brings an added visual appeal to the school. Protection against damaging effects of sunlight and moisture was a key consideration in the use of Sadolin as the school wanted a product that would offer low maintenance, long lasting protection and durability. Sadolin Classic fitted the bill perfectly as the woodstain erodes naturally by ensuring the longevity of the wood, and also excellent colour retention. All Saints School aims to provide a happy and secure learning environment that meets both the personal and academic needs of nearly 300 pupils, with pride and satisfaction in achievement, confident and independent in their approach.